Contemporary Amperex Technology Co. Ltd., a Chinese supplier of lithium-ion battery products for electric vehicles and energy storage facilities, is planning to open a Detroit-based North American subsidiary. A date and location were not revealed. 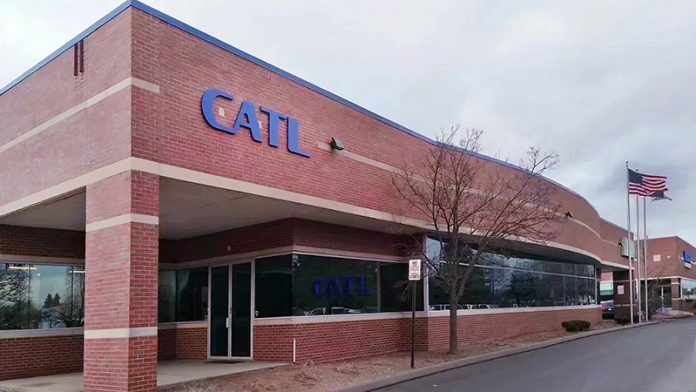 The new Detroit location will be the fourth international site to be opened by CATL and will allow the company to improve the supply of lithium-ion batteries to the U.S. auto market and to support the expansion of EV manufacturing. “2017 was the best year yet for EV sales in the U.S. and around the world,” says Allan Wang, North American general manager for CATL. “Recent surges in demand require greater innovation in the manufacture and supply of parts and services to support vehicle electrification.